A beautiful example of an original 1920s solid oak bookshelf. Ideal for any period property, this piece is in beautiful condition for its age. 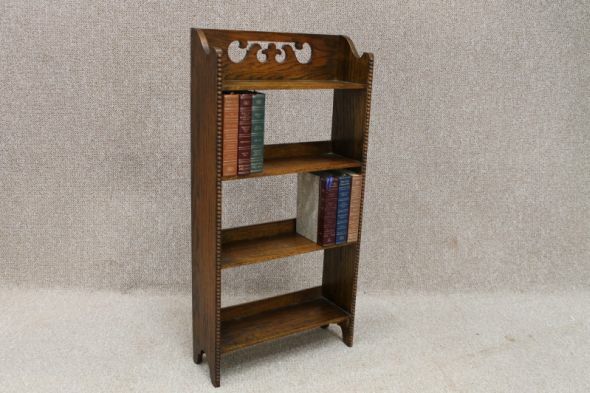 This 1920s oak bookshelf is an original piece, but we also sell an exact reproduction of this model also in solid oak.